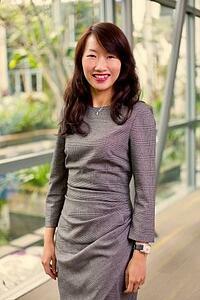 I'd like to introduce you to Zespri’s Head of Global Marketing, Kok Hwee Ng. She’s been driving success in the role since August 2017, coming from an impressive FMCG marketing career working for companies like Mondelez (formerly Kraft Foods) and Procter & Gamble. Kok Hwee is in charge of the strategic direction for the Zespri brand globally - her responsibilities include all marketing development across brand, innovation, shopping, health, digital and media planning. She’s also a passionate believer in the development of marketing capabilities. I caught up with Kok Hwee to learn more about Zespri’s phenomenal work in major global markets like China. Tell us about your journey to becoming the Head of Global Marketing for Zespri? This is definitely an exciting time at Zespri. I’ve had more than a decade of experience leading numerous billion-dollar beauty and snacking consumer brands including Toblerone, Cadbury, Olay and SK-II across various regional and global roles I believe in consumer-centricity as a driver of growth and building marketing capability. 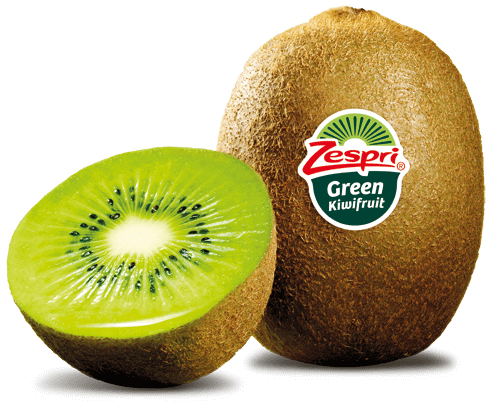 We all know Zespri has been very successful in the Chinese market. In your opinion, what is the key to this success? Our quality is consistent. Consumers can be assured that every single piece of fruit will be delicious, healthy and delivered safely and sustainably through the Zespri system. This is especially important in China where consumers are particularly conscious about food safety. From there, we focus on our investment in Zespri’s marketing. We started a journey of customer-centricity across the organization, working to get to know and understand our consumers. This has resulted in huge growth, especially in China as it boasts high consumer loyalty over the 15 years. 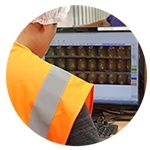 How does Zespri utilize digital technologies? E-commerce is increasingly important for us in China. For context, 20% of our sales in China are done through e-commerce via platforms like Alibaba and Jingdong (JD.com). With e-commerce being so strong, we have also utilized digital to get closer to our consumers. Were there any challenges during Zespri’s market expansion in China? How did you work through them? From a consumer marketing point of view, one challenge we had was the pronunciation of the word ‘Zespri’ by Chinese consumers. As we got closer to the consumer, we realized that a lot of Chinese speaking people were having a really hard time pronouncing the word Zespri. We set out to find the right Chinese translation of our branding that would also allow for the right meaning and direction for our brand positioning. The current Chinese name for Zespri is ‘Jia Pei, which we use across all of our consumer touch points in China. It means, “additional and multiplication of vitality”. With the introduction of this locally relevant name, we saw a huge increase in our unaided brand awareness - it grew from 20% to 40%. It’s incredibly important that we actively strive to balance our global brand, ensuring it’s consistent, meaningful and distinct, while being locally relevant for the consumer in their market. Zespri is well-known for its quality, how do you convey that value to consumers? Firstly, the Zespri system makes us confident in the quality of our product - we know we’re able to deliver fruit with a consistent taste experience. We also know that along with informing consumers of the health benefits, we need to deliver a brand that is meaningful and has a connection with the consumer. Consumers are more likely a choose and consume a product, as well as pay a premium for a brand, if they perceive it as meaningful and different. When we say meaningful, we mean the brand resonates with the consumer and is relevant to their need. Different, however, is about setting trends and being unique - it’s how quickly consumers can recall us. Overall, we make sure we’re relevant to our consumer and deliver a high-quality eating experience. We communicate this on an emotional level by showing how our product plays an important role in the life of our consumer. We have been able to build a meaningful connection with our consumers in China through our 2017 campaign “Vitalising the creators of good life” by recognising and celebrating the multi-role contemporary women in China. This year, we continue to inspire the contemporary women in China to lead a more vibrant life with more thoughts and effort. How important is it that each piece of fruit meets the Zespri brand promise of a high-quality eating experience? Extremely important! 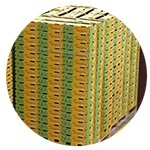 Having a quality product is the most important aspect of the Zespri brand. We ensure our fruit is grown sustainably, and only package fruit that meets a certain dry matter or brix standard. To achieve this, we need a high degree of traceability from the orchard and throughout the supply chain. The final product quality is our promise... and the real moment of truth. Even with the best-in-store promotion and communication, if the product is not able to deliver on our promise, our reputation as well as our ability to get repeat purchases would be low. It’s absolutely critical that every single piece of fruit is able to convey the Zespri standard and delivers the Zespri promise. 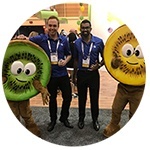 How important is data and analytics in Zespri’s marketing? We’re making a lot of progress around improving analytics, but fresh produce is different than the FMCG sector in terms of the amount of data available to us. As such, we’re embracing data - especially consumer data - and how we drive our marketing decisions. Before investing, we spend a lot of time and effort to understand our consumers. What are their barriers, challenges and aspirations? How do they consume our fruit? What is it they’re seeking that could inform our communication, product innovation process and inform our retail strategy? We rely on data very heavily in order to effectively communicate with our consumers, ensuring the touch points we are using are the most efficient. This data informs our overall marketing mix, ensuring we’re delivering on our intent and effectiveness of our campaigns, constantly tracking and measuring. We’ve made a lot progress in the way we leverage data, but we know there’s more space to grow as we get more data availability in the fresh produce industry. What is the best advice you could give other produce marketers looking to have success in China? Quality, consistency, safety and dependability - that’s the consumer promise as a starting point, but most importantly it’s consumer-centricity. The fresh produce sector is in very early days of consumer-centricity and we have barely scratched the surface of what we can really do. You can unlock a lot of value as you start to tap into the consumer. What direction do you see the fresh produce industry and/or kiwifruit heading in? Where are the opportunities? Globally, the key trends are around safety, quality, convenience and the sustainability of foods. These trends are also emphasised in China as it’s being amplified by the huge growth in domestic income and consumption. The increased use of digital technologies is reducing the distance between grower, producer and consumer, which is allowing us to create a lot more value. The closer we can get to the consumer, the more value we will be able to extract, rather than just being a commodity. Digital is improving consumer-centric thinking, helping us to innovate based on consumer needs. Although digital is a focus, in China the line between online and offline is also blurring. If you look at e-commerce and retail supermarkets, they are starting to come together. Look at Alibaba for example. The e-commerce giant has created its Hema supermarkets, stores that focus on fresh produce. Consumers can go and choose what they want, and the staff will then cook it right away. Everything is done through digital payment like Alipay. As produce marketers, it’s important we keep a customer centric focus as online and offline start to blur, looking at them together rather than separately in order to offer a consistent experience.